By Ian Pollard in News and Views, Uncategorized on 5th February 2019 . Ocado Group plc OCDO claims that 2018 was its “18-year overnight success”, the result of many years of focus, dedication and perseverance as it continued on its journey of transformation. Group revenue for the year to the 2nd December grew by 12.3% and is expected to grow by a further 10-15% in 2019. The number of active customers rose by 11.8. Gross profit was up by 10.8%, although EBITDA was down by 20.7%. 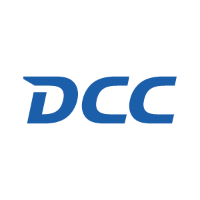 DCC plc DCC operating profit for the third quarter to the end of December 2018 was significantly ahead of the prior year, with strong operating profit growth seen on all fronts. Despite a milder winter, it is expected that operating profit for the year to the end of March will be significantly ahead of the previous year. Safestay plc SSTY Total revenue for the year to the 31st December rose by 39% and occupancy improved from 72.8% to 75.6%. A further fifteen cities have been identified for a European roll out. The company is already one of the leading hostel operators in Europe with 2,792 beds and the market is one of the fastest growing segments of the accommodation market with a growth rate of 5%.